As a leading supplier of incontinence products, including washable seat protectors, you can expect high-quality products and reliable customer service from Care Shop. Designed for discrete use at home as well as in a vehicle or wheelchair, Senset washable seat pads are comfortable and attractive. They also help provide users with much-needed confidence. 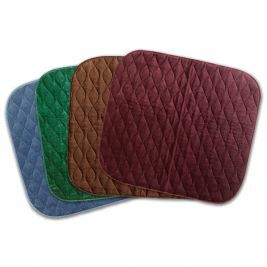 Available in a range of colours and styles, these washable seat pads are made to ensure high absorption and ease of use. All products are designed with anti-slip backing to prevent the pad from sliding from the seat. Their over-sized design also minimises leakage, offering the best possible protection. These seat protectors are machine washable for quick reuse. 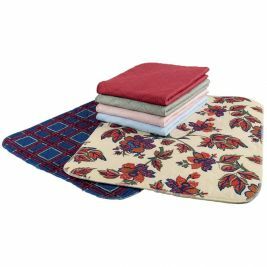 Simply wash the pad without bleach or fabric softener and tumble dry at low temperatures. At Care Shop, we offer a wide range of washable and disposable bed and seat protectors, to help make continence care as straightforward as possible. For more guidance, take a look at our practical tips for continence care. Washable Seat Protection There are 7 products.